The summer of 1998 saw a new chapter in the long saga of CAMERA’s efforts to elicit more accurate, balanced and complete coverage of Israel by National Public Radio. In meetings with NPR and in Congress, CAMERA once again presented documented evidence that the influential, tax-supported network violates not only accepted journalistic norms, but specific statutes under which it receives public funds. Why does the fierce anti-Israel bias persist at NPR, a network whose programming is now heard on nearly 600 affiliate stations nationwide? As CAMERA has repeatedly noted in the past, various reporters and senior officials at the network are on record espousing extremely hostile and distorted views of Israel. These perspectives are evidently permitted to color the reporting, the choice of stories covered and the guests interviewed. Moreover, the animus undoubtedly underlies the striking disregard for factual accuracy in numerous stories defaming the country. Compounding all of this, NPR lacks a fact-checking process that might counteract the effects of its journalists and editors’ political bias. Foreign Editor Loren Jenkins, hired in 1996 by the network, oversees coverage of the Middle East and is among those whose views shape NPR’s coverage. A veteran journalist with a long record of hostility toward Israel, Jenkins is unabashed in his opinions on the subject, as he demonstrated in a July 14 meeting with CAMERA. To criticism that NPR had misrepresented the facts about housing construction in Jerusalem, failing to report the Arab building boom there, Jenkins retorted, "Let’s face it. The Jews are colonizers. They’re colonizing there." He had previously elaborated on his notion that Jews are imperialists and interlopers in the Middle East in a wide-ranging Rolling Stone article published in 1983 and entitled "Palestine, Exiled." Israelis were presented as ruthless dispossessors of native Arab inhabitants and were repeatedly linked to Nazis. He charged, for example, that an Israeli-administered south Lebanon prison was, in the words of a nameless Red Cross official, "a concentration camp. There is nothing else to call it." PLO leaders, in contrast, were characterized admiringly as freedom-fighters, as "modest" people, speaking in "soft and warm" voices. Of Yasir Arafat he wrote: "it is his liquid brown eyes that impress one the most." PLO terrorism, while "abhorrent," was primarily deplored as a tactical blunder that caused "image" problems. Given the combination of Jenkins’ anti-Israel record and the bias of NPR reporters on the scene in Israel, including Linda Gradstein, Eric Weiner, Michael Shuster and Sandy Tolan, there is little point in seeking redress directly from the network. Indeed, multiple requests for action to correct a variety of erroneous reports have been ignored since Jenkins arrived. The problem of NPR’s unrelenting bias and abuse of taxpayer funds will have to be taken to Congress, CPB and the American public. Brute force…is largely to blame for the deterioration of the water supply in Gaza…Israel actively impounded water that would have flowed into Gaza from Israel and then stood by as the aquifer became contaminated through 27 years of neglect. In fact, Israel did not "impound water" destined for the Gaza aquifer, nor is such a thing possible! And when it administered Gaza, between 1967 and 1994, Israel did not stand by while the aquifer deteriorated; it supplied approximately 4 million cubic meters of water yearly to Gazan Arabs from its National Water Carrier and, in efforts to minimize the depletion and contamination of the Gaza aquifer, limited wildcat well-drilling. Nevertheless, Tolan cited Shawa’s charges without a word of skepticism or challenge. Similarly, Israel assisted Gazan farmers in moving from water-intensive citrus growing to higher value alternative crops that require less water than citrus. Thus, Arab farmers have been encouraged, often successfully, to shift to strawberry and flower production and away from oranges. Through a variety of water conservation measures Gaza saved more than 20 million cubic meters of water annually. Ignoring entirely such positive intervention by Israel, Tolan deplored the imminent ruin of Gaza citrus orchards, with Israel cast as the malefactor. The culpability of the Palestinian Authority, which has been in control of the territory for nearly three years, was overlooked entirely. No mention was made of PA inaction on the water issue, or of the disappearance of hundreds of millions of dollars from the PA budget that might have been devoted to helping Gazans with their urgent water needs. There were many additional errors and distortions in the piece. Beneath the [West Bank] there is a huge underground lake. It’s called the Mountain Aquifer…Nearly all the aquifer lies beneath the West Bank, with a small tip extending below Israel. But during three decades of Israeli occupation, Palestinians have not been allowed to drill a well without permission from military authorities, and that’s rarely been granted. In fact, since 1967, Israel drilled or permitted drilling of approximately fifty major Palestinian wells for town and agricultural use. No restrictions were placed on water development for domestic use. Currently, under the peace accords, a joint Israeli-Palestinian committee oversees West Bank water. Tolan also misrepresented the facts about the aquifers. The Mountain Aquifer is made up of three aquifers, the largest of which is the Western Aquifer, most of whose water is stored under Israel proper, providing the country with one third of its water. Contrary to NPR’s assertion, Israel is not seizing water "beneath" the feet of West Bank Arabs. Indeed, even Israelis living in most settlements in the West Bank use water from Israel; only those in the Jordan Valley rely on water from under the West Bank from the geologically separate Eastern Aquifer. Moreover, far from depriving West Bank towns of needed water, Israel transfers its own water to cities such as Ramallah. orrespondent failed to mention that, according to water experts, almost half the water in Hebron is lost through corroded and neglected pipes before it reaches residents, a problem the Hebron municipality has failed to correct because of opposition from private Arab well-owners. These well-owners profit from supplying water to residents who cannot get adequate municipal water. Instead of reporting this critical aspect of the story, NPR simply blamed Israel. There were, again, many additional errors and distortions in the piece. In a lengthy segment, NPR severely misrepresented the status of the Arab community of eastern Jerusalem, suggesting the Israeli municipality is engaged in "ethnic cleansing" of Arabs and that Arabs are prevented from building houses. 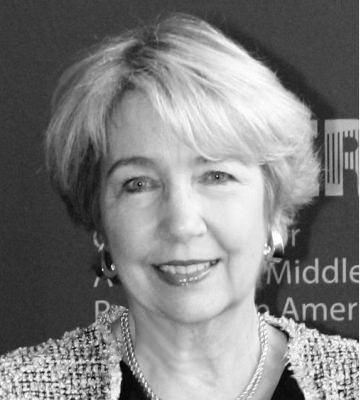 NPR host Linda Wertheimer claimed incorrectly in the introduction that, "with its Palestinian East Side and its Jewish West Side, Jerusalem remains a divided city, but in recent years Israeli authorities have pursued policies that have made the city less Arab and more Jewish." In fact, the reality is precisely the opposite. The population of Jerusalem is more Arab and less Jewish today than it was in 1967. Then it was 26% Arab, while today it is 30% Arab. Likewise, NPR reporter Mike Shuster claims, without substantiation, that Israel is withholding building permits for political reasons and is engaging in demolition of Arab housing on a massive scale. He disregards the evidence of widespread Arab building in eastern Jerusalem, which is apparent in neighborhoods from Silwan to Ras al Amud, E-Tur and Shuafat. The building is both legal (with permits) and illegal and neither the Jerusalem municipality nor the Interior Ministry has demolished more than a small fraction of the illegal structures. According to a recent study commissioned by CAMERA and based on tax records, building permits and aerial photographs, construction in the Arab sector has actually outpaced building in the Jewish sector of Jerusalem since 1967. Shuster was provided a copy of this study, authored by a former city planner of Jerusalem under Teddy Kollek, but he neither used the data nor contacted the author. Instead, the reporter interviewed six critics of Israel and very briefly two Israeli officials. Mayor Ehud Olmert was permitted just two sentences to counter the array of charges against Israel and Shuster immediately disputed those comments, claiming "the view from the ground does not appear to confirm Mayor Olmert’s assertions." In contrast, a variety of false allegations by individual Arabs and critics of Israel were presented as uncontested fact. There were, as appears to be inevitable in NPR reports on Israel, many additional errors and distortions in the piece. In a highly distorted segment, NPR’s Ted Clark reported that American interests are being damaged by the nation’s friendship with Israel. He blamed Israel for America’s inability to muster allies during the Iraq crisis in early 1998 and said America is a terrorist target because of Israel. As an example of the latter he cited the bombing of the Marine barracks in Beirut that killed 249 Americans. Clark did not explain why, then, terrorists also bombed a French compound in Beirut the same day, killing 58 men. French policies have long emphatically favored Arab concerns over Israel’s. On the question of "whether the United States has gained more than it’s lost as a result of its alliance with Israel," Clark interviewed three guest speakers. They were Robert Pelletreau, Richard Curtiss and Howard Kohr. Kohr was identified as head of "the pro-Israel lobby known as AIPAC," alerting the audience that his views on Israel would reflect partisan affiliations. In contrast, the description of Pelletreau and Curtiss’s affiliations was marked by obfuscation rather than candor. Both Pelletreau and Curtiss are closely aligned with Arab interests, but no reference was made to these affiliations. Pelletreau was described as a lawyer and a former State Department official in Near Eastern Affairs, but there was no mention of his career as an ambassador to numerous Arab countries or of his current law practice consisting largely of oil companies and Arab interests, including Exxon, Conoco, Mobil, Texaco, the Dubai Islamic Bank and the Hashemite Kingdom of Jordan among others. Clark, in his deceptive omission of this information, effectively concealed, of course, that Pelletreau’s description of Israel, as having once been an asset but now being of "mixed" benefit to America, may have been shaded by his professional alliances. Yet even more egregious was Clark’s concealment of the facts about Richard Curtiss,who was identified as simply the "executive editor of the Washington Report on Middle East Affairs." In fact, he was formerly Secretary of the American-Arab Affairs Council, and his magazine is a venomously anti-Israel (and sometimes anti-Semitic) screed with not the slightest pretense to being journalistically objective. Clearly, his charge that Israel has "harmed American interests" and his denunciation of U.S. aid to Israel have to be seen in the context of his being not a dispassionate magazine editor as NPR implies, but a purveyor of the irrational prejudices and inaccurate allegations that fill his magazine. Such skewed labeling and mislabeling of guest speakers is commonplace on NPR. Beyond the many errors of commission such as those enumerated, NPR’s coverage suffers greatly from errors of omission as well. To cite just a few examples, while the network covered the story of a joint Israeli-Palestinian Sesame Street production (March 8, 1998), it has yet to report a much more sinister story, the Palestinian Authority’s sponsorship of children’s programming that glorifies suicide bombers and war. Entitled The Children’s Club, this popular series features young girls, seen against a backdrop of Disney cartoon characters, singing of going to Jerusalem as suicide bombers in "battledress." Tapes of the program have been offered to NPR reporters in Jerusalem and a copy was handed directly to Loren Jenkins on July 14, but, as of this writing, the network has yet to cover the story. NPR has consistently failed to report significant instances of hate speech and incitement to violence against Israeli Jews, whether in the context of Palestinian responsibility under the Oslo Accords to cease such activity, or as related to other events in the region. Thus, for example, Egyptian anti-Semitism, which has included an ominous demonizing of Jews and Israel in recent years, is a story entirely neglected by NPR. PB is instead acting as a heat-shield against good journalism and accountability.